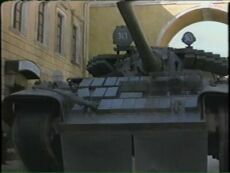 Soon Ourumov with Natalya and Bond with his tank get to St. Isaak Cathedral. Bond's villains are always very capable - how else could he show his great abilities? St. Isaak Cathedral is really not that close to the Engineers' Castle. 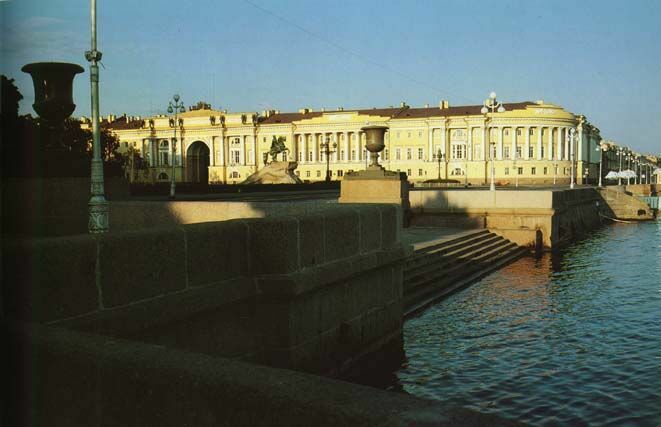 South Facade; Bond drove between the Cathedral and the statue of Czar Nickolas II, which is unique by itself because it only has two points of support - the horse's legs. 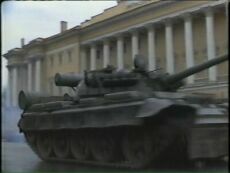 The cupola of the Cathedral is seen briefly when Wade drives Bond to see Zhukovsky. 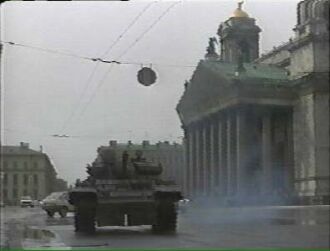 After driving around the Cathedral (which was cut for time, no doubt, but which is the only way to see this particular side of the building and continue the way Bond and Ourumov do) the cavalcade drives past Senate and Sinod Building and heads to Galernaya Street. Senate and Sinod Building. 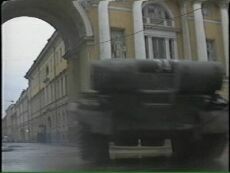 The arch is the beginning of Galernaya Street. The equestrine statue is the famous Bronze Horseman, another statue of Peter the Great, built for Catherine the Great at the same time her son built the one in front of St. Michael Castle. 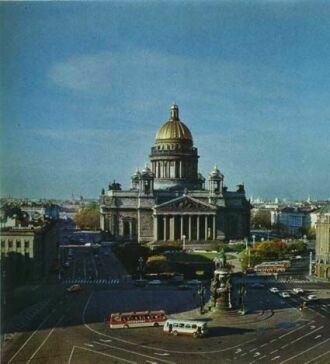 St. Isaak Cathedral is further left. Disclaimer: This site is intended for entertainment purposes only and is not intended to infringe on any copyright whatsoever. All original content on these pages copyrighted © 2001-2003 by Yuliya. Comments and corrections are welcome.